Funeral Home Church: Pokemon Go-es to Church! 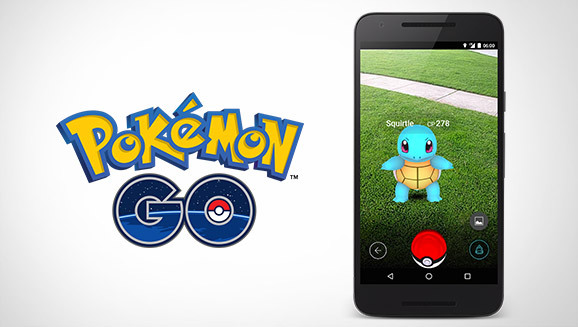 In case you don't have a 7 year old boy living at your house and have been really confused by suddenly seeing people wandering in circles staring at their phones, Pokemon Go came out last week. It is an augmented reality game, that lets you "catch" Pokemon in real life. They are all over. We have found them in our backyard, ponds, parks, grocery stores, and churches! There are pokestops where you can spin to get more pokeballs and other useful items and gyms where you can battle. From our brief time playing, we have found that most pokestops are landmarks of some sort and almost every church is one! Okay, before I lose everyone who isn't into Pokemon...first why this is good for kids. - Learning how to read a map - The pokestops and gyms show up on the map using your phone's GPS. He has to direct us where to go to find them. - Reading - The pokestops are labeled so he reads the name to me so we can find it. - Learning history - A lot of historical markers and statues are pokestops. - Exercising - You can drive to find things but we had a lot more fun walking around our neighborhood yesterday. We walked five miles. You also have to walk a certain distance to hatch eggs. Aren't those all things you want your kids to do in the summer?!? And he can't wait to go out again. As the Rev. Dr. Kara Slade said on Facebook "Here we have a game that QUITE LITERALLY brings 'young people' ages 5 to 45 to our door." 1. Don't call the police on them. Yes they may be driving through the parking lot and looking like they are trying to case the place. They just want your Pokemon and pokeballs. 2. Have a reason for them to stay even for a few minutes. Water station (it is hot out there looking for Pokemon), charging station (the game runs down batteries quickly), a map of nearby pokestops with your church information and service times. 3. Plan a meetup for neighborhood kids. There has been at least one instance where people have used the game for nefarious means. It is an isolated incident in the middle of the night but parents might feel better if they knew it was a safe place for their kids to go. Plan a Saturday afternoon, advertise it around town, and on Tumblr and other Pokemon message boards for your area. When you get a group together, use a lure to get more Pokemon to your church so they will have lots of Pokemon to catch. 4. Put up a welcome sign. Let people know you are okay with them being there. It can be uncomfortable walking around churches if you aren't sure if the people want you there. Put up a sign that says welcome to Pokemon Go players. That may be all they need to show up on a Sunday. The world is coming to your parking lot. How will you welcome them? Who else is playing? What else can our churches do to connect with players? Please share in the comments. Also let people have your wifi password! Or set up a wi-fi router that's open. Apparently the game also burns through data. Great article, it is very interesting and entertaining to red. Keep up the good job to share such great stuff here. All the best to what is in your pipeline.